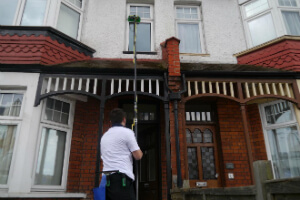 Residential & Industrial Window Cleaning Clapham Junction SW11 | Quality Property Care Ltd. Enjoy more than simply qualified window cleansing, give Quality Property Care Ltd. a call and book the finest window cleaning in Clapham Junction SW11 at a reasonable rate. Fully equipped and capable, we will leave no stains behind, eliminating not only grease, but built up dirt, grime, mud, rain residue, fine powder, fingerprints and a lot more. Dear customers, Quality Property Care Ltd. company completely ensure you that your property or home is under safety. The team we send to you is composed of insured and well-trained window cleaners. They are devoted, motivated and diligent. 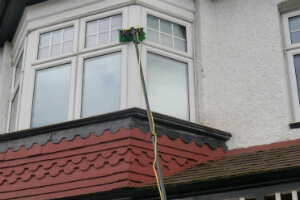 You are not even required to stay in the property in the course of window cleaning in Clapham Junction SW11. All you have to do is to keep us some parking space, so the helpful experts can park the van with the water fed pole product. In case of any omission, we handle the damages or re-do the treatment for free! Your final consumer fulfillment is certain. Along with your expert windows cleaning, you can also book one or more other maintenance services and outdoor cleaning. By booking more than one service provided by the business you will save a lot of time and money , and will have a full cleaning service at once. You can get professional gutter cleaning, patio or driveway jet washing, outside and inside conservatory window cleaning, gardening and others. Certainly, for a full cleaning, you can order indoor windows cleaning and curtain cleaning too. Indoor cleaning is done manually with squeegees, efficient and safe windows cleaning solution.So, you can get a perfect window and gutter cleaning, or only windows cleaning by booking the reliable and high-quality cleaning services of the company. For the cleaning Quality Property Care Ltd. professionals use clear water from the tap, it passes through several filters located inside the van, they strip the h2o from its miners and other chemical compounds, making it pure. This 100 % pure water does not respond with the dirt on your window but strips it away carefully and without damaging neither the glass nor the sill or frames. It is suitable for the leaning of all window kinds, it does not leave a chaos aside from a puddle and it is aroma free. To reserve us give 020 3746 4287 a call where a crew of specialists is waiting to assist you anyway they can. Get in touch with us totally free at the given number to receive info to questions and book the best cleaning service in London.